As many can attest, mining is big business in the west. Right in Arizona, we have some of the largest copper mines in the world and one of the largest copper mining companies headquartered here. 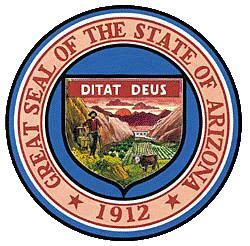 School children learn about the “5 C’s” of Arizona (Climate, Citrus, Cotton, Cattle and Copper) and it is even included in our state seal (see like little guy on the left mining copper?). 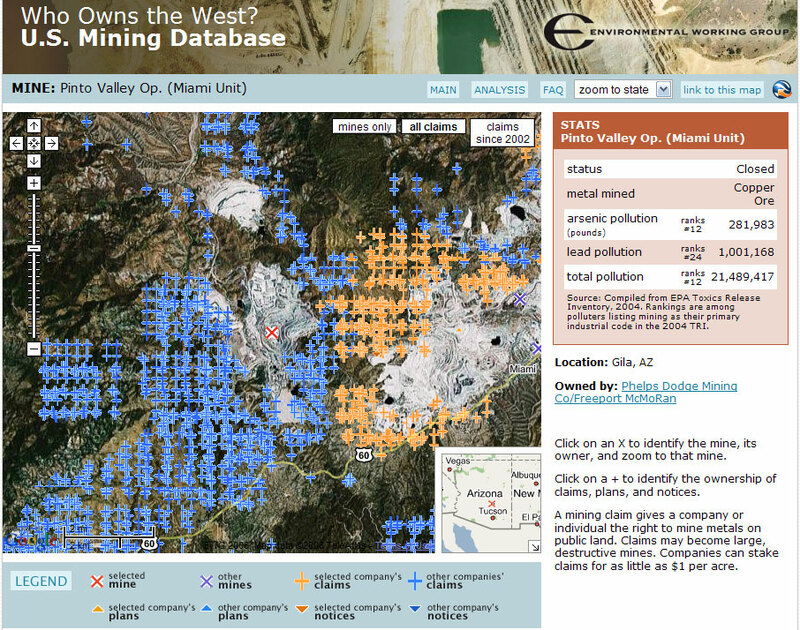 The Environmental Working Group has set up a website devoted to educating people about the affects of mining currently on the western USA and the possible impacts in the future. 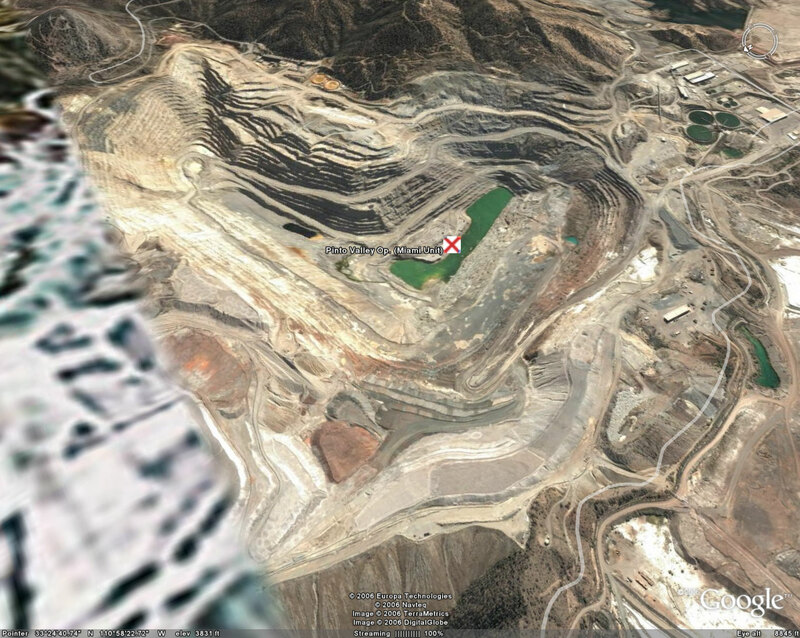 You can zoom into individual state or mines and see the landscape, current and future mining claims and even get a KML link to view in Google Earth. So you can see the impacts today and possible future impacts to the landscape and environment in the future. With Uranium mining a hot topic out west, understanding the impacts of such mining is important for all of us. Those who pay are usually the ones who don’t benefit from mining. Update - Not only Native American’s, but the poor who live in these old mining towns. Would you want to live downstream from this mine? Many times when I go fly fishing in the west I have to wonder what am I wading into when I cross a stream.